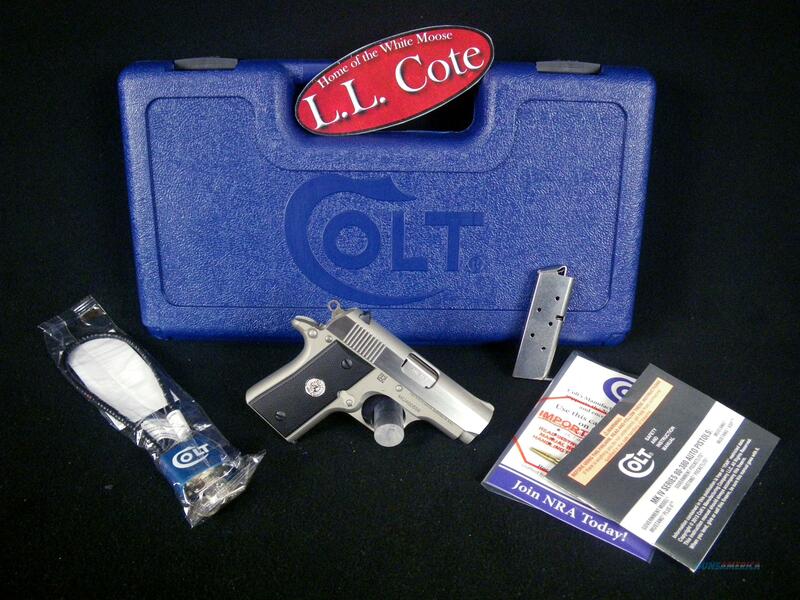 Description: You are bidding on a Colt Mustang in 380acp with a 2.75" Barrel. The new Colt .380 Mustang Pocketlite and Mustang XSP are small, lightweight and boast enhanced durability, reliability and accuracy, making either an ideal handgun for personal protection. The precise machining process, use of high quality materials and improvements in design make Colt’s new .380 Mustang Pocketlite and Mustang XSP two of the most consistent and reliable firearms on the market. The stainless steel slide and barrel are CNC machined from solid bar stock for precise tolerances. With loaded magazines, each of these handguns weighs less than one pound. They both measure 5.5 inches long and have a 2.75-inch barrel. The minimal weight and length of these guns, combined with the short single action trigger, grip designs, frame designs and firing pin safety block make these firearms ideal for personal protection. Displayed images are stock photos. Any questions please feel free to ask (our phone number is in the additional information tab above).